When tomatoes first came from this side of the Atlantic to Europe, Europeans were a whole continent of tomato skeptics. 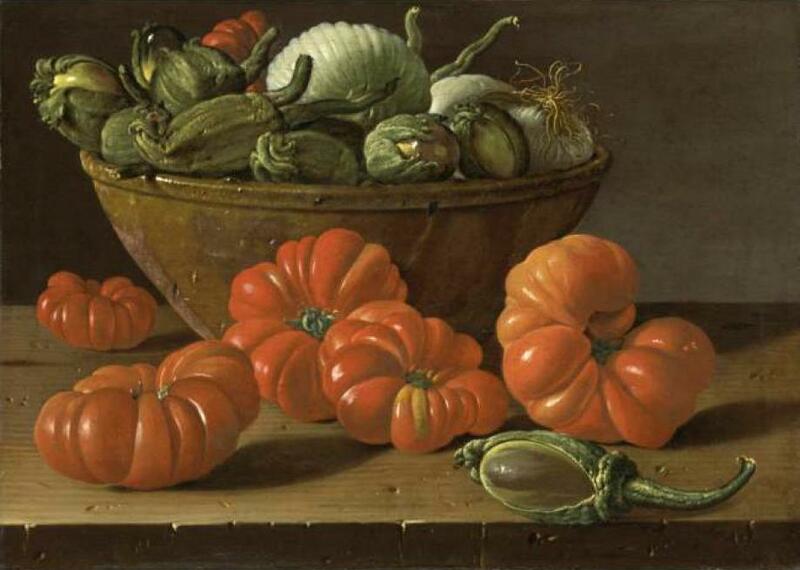 What Was Wrong With 16th-Century Europeans That They Didn’t Like Tomatoes? Francisco Hernandez was probably the first European writer to describe salsa. Philip II had sent him to Mexico to catalog all the plants he could find there, which took him seven years. In a chapter covering “sour and acid plants,” Hernandez noted how people in Mexico ate tomatoes. They made, he wrote, “a delicious dip sauce from minced tomatoes, mixed with chili,” that would go with almost any dish. By the mid–18th century, European chefs had adapted the idea further. A 1747 recipe for a “Spanish-style tomato sauce” subs in black pepper for chiles and adds parsley and garlic, as well. The meal that resulted would have been as exciting and daring, in early-18th-century Europe, as Asian fusion seemed in 1980s. In 1692, tomatoes were still an avant-garde ingredient: the Neapolitan cookbook’s title, Lo scalco alla moderna—the Modern Steward—shows that its author fancied it a very hip manual and “himself a modern innovator,” Grewe notes. Chile peppers were even more radical than tomatoes. Until Europeans crossed the Atlantic Ocean, their hottest spices were mustard, native to the Mediterranean, and black or long pepper, imported from South Asia. The experience of eating chiles for the first time might have something to do with Europeans’ relative disinterest in tomatoes. The first salsa, raw tomatoes and chiles, was as much a hot condiment as a sauce. When I (and two other volunteers) tasted the Aztec salsa, it burned, and I imagined what it would have been like for a person to have that flush of capsaicin heat in their mouth for the first time. Who could notice or appreciate the tomato if it was serving only a moderating influence on a hot pepper? 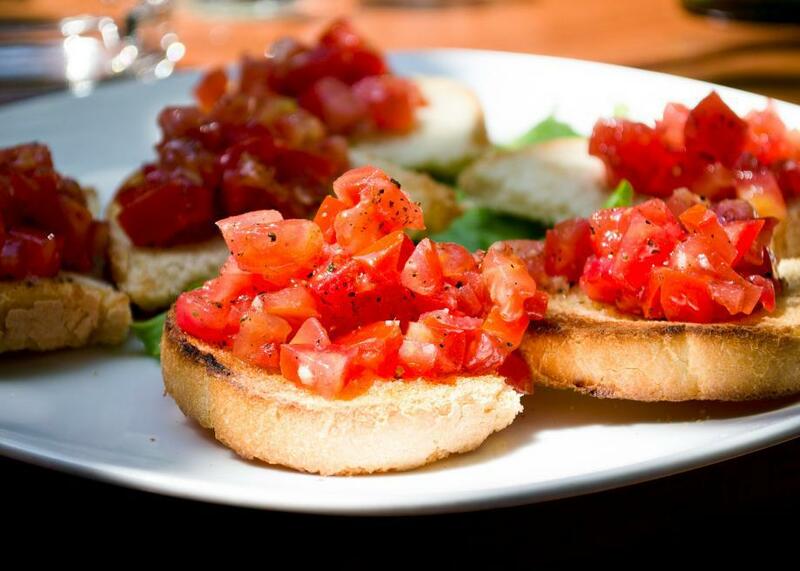 Turns out bruschetta is actually just salsa on bread. By 1745, the recipes that Europeans were recording had started to show how important tomatoes would become to their food. The salt cod dish I made was simple: the recipe had me “fry an abundance” of tomatoes and onions, which made what started to look a lot like a familiar Italian tomato sauce. Then, I layered the tomatoes with the fish, along with parsley and garlic and brought the whole mess to a boil. The result was flaky pieces of happily sauced fish.